Bookings are for the exclusive use of the whole camp, sleeping a maximum of 16 people. Sleeps 16 people. Since the camp is booked in its entirety, you are guaranteed exclusivity and privacy. 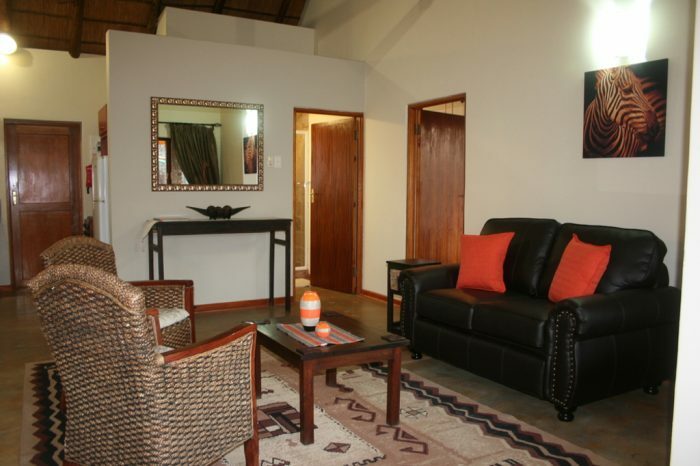 Communal area, with lapa, fire pit, braai facilities, fully equipped kitchen, including fridge, freezer, stove, dishwasher, microwave oven, two toilets, shower and pool area. Also includes 12 seater dining table under a lovely lapa, overlooking the bush. 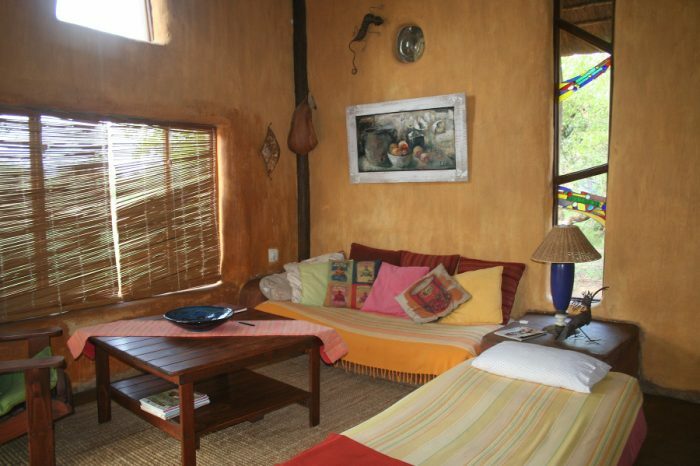 Main lapa area also has a family room, sleeping 4 people. A toilet and shower is available for the family room. Chalet 1 - bedroom 1 (king size bed), bedroom 2 (two single beds), small kitchenette, toilet, shower/bathroom. Chalet 2 - two bedrooms, each with 2 single beds and on suite shower/bathroom and toilet. Chalet 3 - two bedrooms, each with 2 single beds and on suite shower/bathroom and toilet. 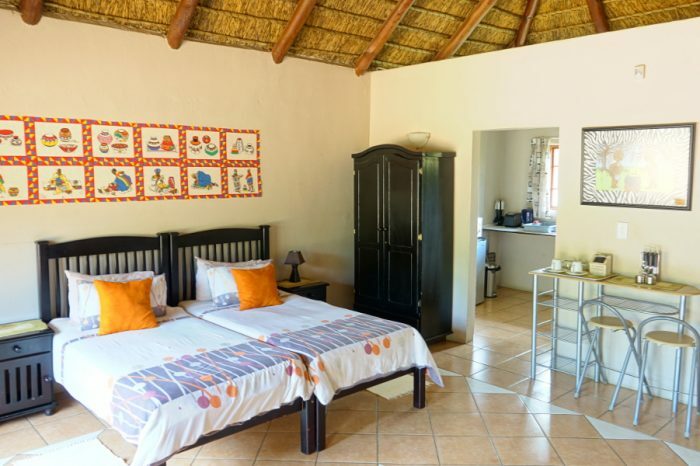 Family room - Main lapa dining room converted to a family sleeping room, with 4 quarter beds and on suite shower. Main lapa toilet can be used.